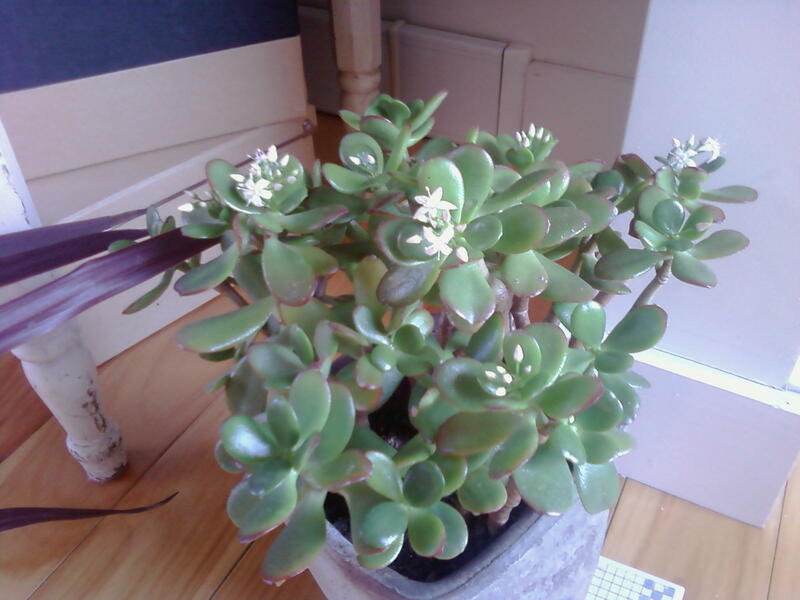 Sometimes, the unexpected happens and you discover a jade plant can flower. There is a Secret Garden kind of store here where I bought a jade with buds. I googled information, and found out the plant would likely flower in December. A bit early then, for the flowers are coming out. It’s warm for November here, though the sky is deceptively overcast, like snow soon sky. The marigolds are still in bloom, and they are not the only ones. Yet it is winter, a season that began on the first of the month. The sky is a mxture of grey-blue, grey-white, and grey. I’ve propped open a window and the wind howls this late morning. The black horse has hunkered down, sitting against the wind perhaps. Now the leaves have begun to smash against the window. The stairs creak.